Don’t forget to look up and verify your account! On Dec. 1, ODFW launched a new electronic license system that allows customers to print their licenses/tags at home, carry them on a phone, or buy at a license sales agent. 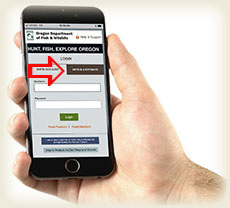 Before making their next purchase, customers who have big game preference points, Pioneer License, Disability Permit, NW Goose Certification or have purchased an annual license in the last three years (2016-18) need to verify their account. For 25 years, the Access and Habitat Program has been partnering with private landowners to improve public hunting access and wildlife habitat on their lands. 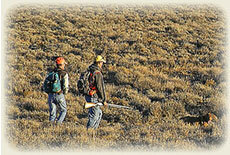 This program is funded, in part, by hunting license dollars. Learn more about the A&H Program.